Many of our Lorne Park Dental patients who smoke or chew tobacco tell us that they want to quit. We sincerely hope that the information below, and our support of our determined patients, will help them achieve their goal! It is well known that persons who smoke have more periodontal disease (advanced gum disease that involves the bone). The heat and chemical irritation of tobacco smoke is very harmful to the structures that support our teeth. Periodontal disease may progress more quickly in smokers' mouths than it does in non-smokers'. When the health of your gums is assessed, one thing that we consider is the amount of bleeding that we see when we check the spaces between your gums and your teeth. HEALTHY GUMS DON'T BLEED! Smoking masks bleeding as a warning sign of gum disease. If a person smokes, their blood circulation on the outer gum surfaces in the mouth will be poor. Simply put, for smokers, gum bleeding cannot be used to help detect gum disease in the same way that it would for a non-smoker. Also, if you smoke, your gums may not bleed when you brush or floss even though you may have some degree of gum disease. Smokers' gum tissues tend to be very thick. This thickening of the gum tissue is the body's way of protecting itself from the irritation of the tobacco smoke. Don't be fooled into thinking that those thick tissues are healthy though. There can be very deep spaces between the gums and the teeth that we call 'pockets'. It's in these deep pockets that the normal bacteria in the mouth can do the most harm. Bone loss is common around teeth with deep pocketing. Advanced bone loss can cause your teeth to become loose. Changes can occur in the tissues across the hard palate because of the extreme heat of cigarettes. A patchy white appearance in this area is known as Nicotine Stomatitis. If you smoke, be especially sure to visit us at Lorne Park Dental Associates for regular oral cancer screens and to check the health of your gums and the bone that supports your teeth. 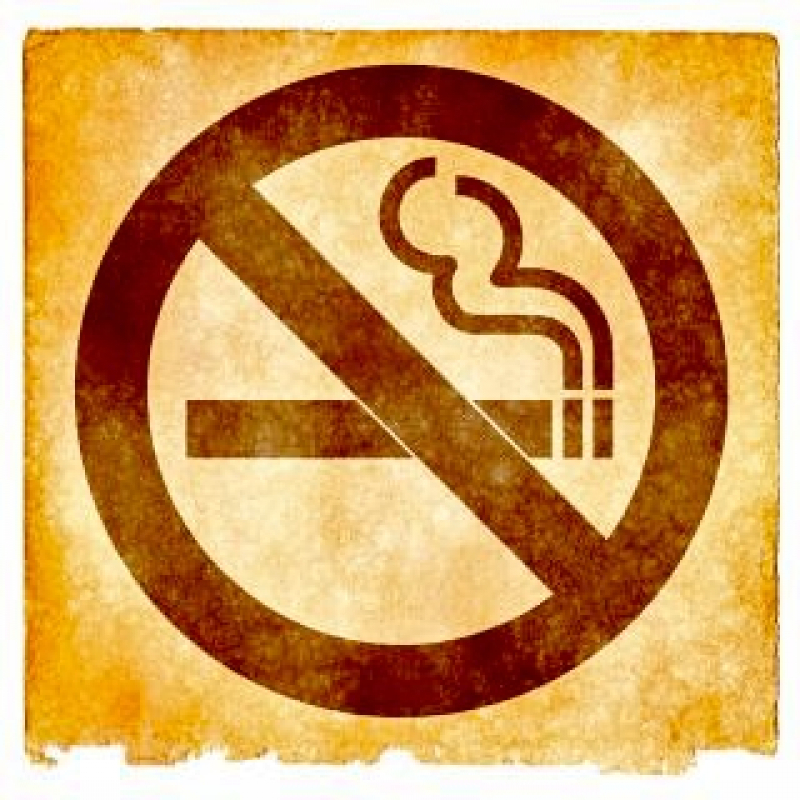 Some of our patients have shown us that it IS possible to quit smoking and it's never too late! We want to help by supporting you in your decision to quit smoking. View this short YouTube video from The Canadian Lung Association for helpful quit tips including the 4 D's mentioned below. DISTRACT - Do something different. When you have a craving, change your activity. Get out of the situation that makes you want to smoke. DELAY - Each day, delay lighting your first cigarette by one hour. When you have your next craving, delay for another 15 or 30 minutes. DEEP BREATHE - Take a "deep breathe break" instead of a cigarette break - Take 10 deep breaths and hold the last one while lighting a match. Exhale slowly and blow out the match. DRINK WATER - Water with crushed ice helps flush nicotine out of your system faster and helps satisfy oral cravings. Check out this article for suggestions from Andrea Siomos, a member of the Smoking Cessation Team at Sunnybrook's Schulich Heart Center in Toronto. Smokers' Helpline is a free service provided by the Canadian Cancer Society. It is paid for by the Government of Ontario, for those who are thinking about, or who have decided to quit smoking. They offer personal support, advice, and information. This service is available by phone, in an online program and by text messaging too. For info. on E-Cigarettes , see our Lorne Park Dental Associates' blog. A growing number of major league baseball teams are located in cities where laws require baseball/sports stadiums/fascilities to be tobacco-free. The first tobacco free World Series baseball game was played at Wrigley Field in Chicago on October 28, 2016. Knock Smokeless/Chewing tobacco out of the Park! Quitting tobacco is the best thing you can do to improve your oral health and your general health too. At Lorne Park Dental in Mississauga, we're here for you as you work toward your quit tobacco goal.